Leading distemper pouch manufacturers we have an acclaimed name in the market that is engaged in presenting superior quality distemper pouch. The pouches provided by us are used for carrying and storing every type of distemper powder. Thus the pouches need best quality inspection and robust construction to assure you highest level of durability. At our production unit the distemper pouch manufacturers offer pouches adhere to industry standards and quality norms. We are a notable name in domain offering best class services. We are well known distemper pouch manufacturer and supplier in market, engaged in providing best quality range of pouches. Our wide range assures the smooth and shiny finish to the interior and exterior walls. Well qualified and skilled distemper pouch manufacturer’s presents this range with optimum quality material and advance technologies in compliance with proper industry norms. Moreover all our pouches come in various packing sizes and presents this ultimate article at affordable prices. We dare that we are different. We observe what our competitors are doing but only to decide what we should not do. Our cement pouch manufacturers do not fear to venture on untrodden path by this we continue to be nimble footed, innovative and will surprise you with regularity. Our cement pouch manufacturers is highly demanding. 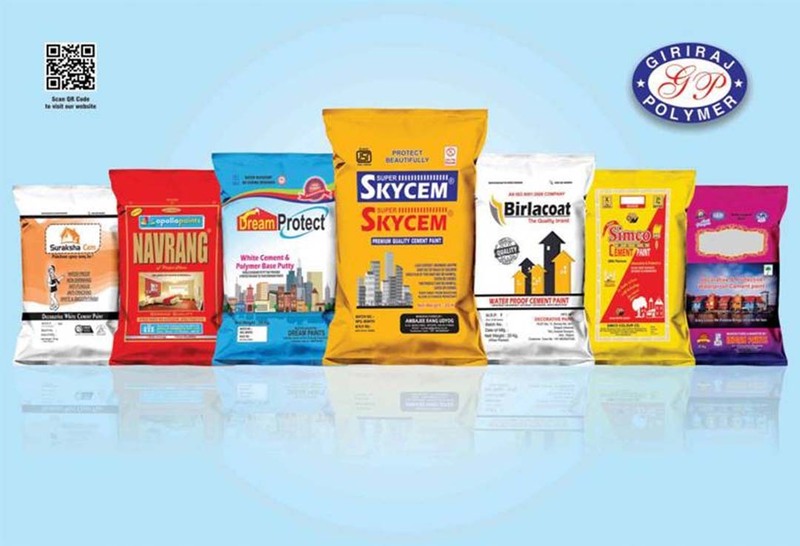 We will always stand alone in the crowd of cement pouch manufacturers. Our innovative approach will definitely force the clients to imitate us. Printing from the backbone of businesses and marketing create quality superior impression. Our main motive is to provide materially perfect packaging with eco friendly and attractive features. Our team comprise of professionals to manufacture best quality of polyester pouches. We offer our own creativity to the products.